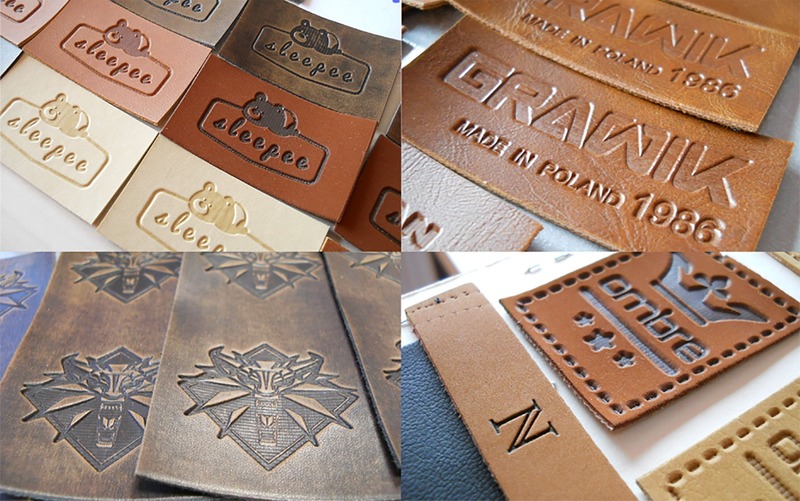 Leather labels - Schröder Polska Sp. zo.o. Patchas are made from natural leather or synthetic leather that perfectly imitate the natural one. Leather may vary in thickness, stiffness and finishing: grain leather (faced, smooth), roughness leather ( Suede, Nubuck), exotic and lacquered leather. Different effects can be achieved by the extrusion, thermo-extrusion, coating and printing with various methods: silk-screen printing, pad printing. There is a possibility of using different dimensions and shapes according to the client’s wishes.